The American Health Council is proud to announce Pummy Joshi, BSN/MSN/ APN-BC as an affiliate of its Nursing Board. 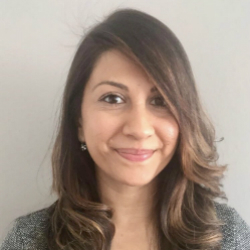 Pummy has nine years of experience in the healthcare industry and has spent the last three years as a Nurse Practitioner at Clara Maass Medical Center in Belleville, New Jersey. This is where she developed her clinical proficiency caring for a diverse patient population in an emergency department and employed her expertise as an educator. She has currently joined Cheetah Medical, Inc as an Clinical Application Specialist where she uses her clinical expertise & skills as an educator to other clinicians. Pummy’s passion for nursing originally began at home at a young age. Her father, a retired OBGYN, encouraged her to seek a rewarding career path, leading Pummy to pursue a career in Nursing. She attended Rutgers University in New Jersey and began utilizing her work ethic, self-discipline, and team-oriented attitude, to earn a BS in Biology (2006), BS in Nursing (2008) and, ultimately, MS in Nursing (2011) at the leading research university. Through dedication and a deep-seated passion for clinical care, Pummy earned High Honors in both her undergraduate and graduate degrees. Pummy carried these academic accomplishments with her as she embarked on her post-graduate career, beginning with a position at Clara Maass Medical Center as a Nurse Practitioner in the Emergency Department for three years. She is now a Clinical Applications Specialist at Cheetah Medical, a pioneer and global leading provider of noninvasive hemodynamic monitoring technologies, expanding her skillset to incorporate her experience at Cheetah Medical. Currently, she oversees training and education initiatives on noninvasive hemodynamic monitoring in various patient populations and care settings, particularly the specific application of the CHEETAH NICOM & Starling SV systems, providing dynamic assessments to optimize patient outcomes. Pummy’s outstanding professional performance has been acknowledged by several awards and honors, including the CCM Leadership Award, the Pfizer Scholarship, and the Expertseeker.com scholarship. The recognition Pummy garnered for her leadership skills inspired a vision of a professional future using such skills. Within the next few years, she seeks to focus specifically on her role as a mentor for colleagues and upcoming practitioners. This includes an ambition to expand the scope of her mentorship as a public speaker and educator. In her spare time, Pummy cultivates an equally diverse slate of personal interests and hobbies. Along with an interest in conquering hiking trails and the latest bestselling novel, she enjoys exploring new cultures and often travels to different countries to immerse herself in their history and customs. This interest in culture inspired Pummy to learn the Korean language in 2 weeks and win an award in a competition for the Satrangi Dance School, presenting a synthesis of Indian dance with western steps. Founded in 1868 as the Newark German Hospital, Clara Maass is a community medical center staffed by more than 700 physicians and 2,100 employees delivering care to more than 16,000 Inpatients, more than 80,000 Emergency Department visits and approximately 10,000 surgeries each year. It is the first hospital in the United States to bear the name of a nurse as its corporate identity. Clara Maass centers and services include the Women’s Health Center, Nuclear Medicine, The Cancer Center at Clara Maass, Diagnostic Cardiac Services including Cardiac Catheterization, Emergency Angioplasty and Rehabilitation, The Pain Management Center, The Joint & Spine Institute, a Vascular Center, Same Day Surgery, The Wound Center at Clara Maass, The Center for Sleep Disorders, The Bariatric Surgery Center, Rehabilitation Services, Comprehensive Ophthalmology Services, Maternity Services and Parent Education, Pediatrics, a state-of-the-art Emergency Department, Radiology services and community outreach programs.